Beautiful photo! Great pairing of photo & scripture too. Have a blessed Sunday. One of my favorite Scriptures and one I cling to daily! Gorgeous photo is perfect for the verse. Stunning shot! I love when the sunlight gets captured shining through trees. So lovely, and so promising. so thankful for the Lord's mercies and strength for each day. (((hugs))) and prayers that His mercies will refresh you each day. I love this scripture! 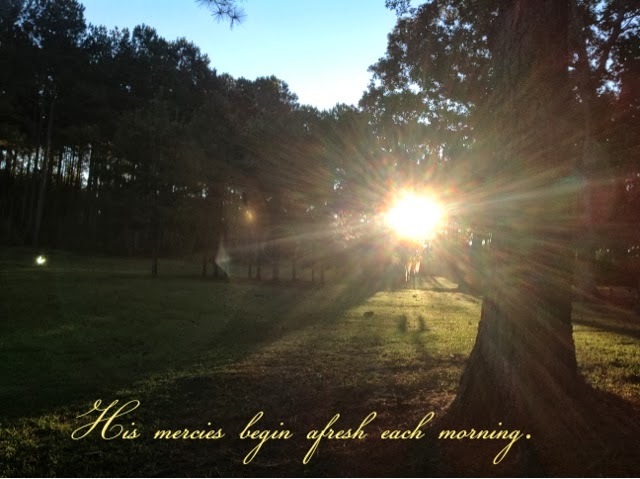 I've been recently exploring (and loving Lamentations).